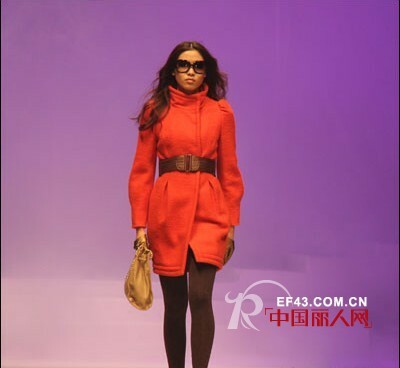 Sleepwalking / Urban Travel - Cosmo City Ladies, Theme was invited to attend the Eleventh China (Shenzhen) International Fashion Apparel Fair and at 16:30 on the 8th at Hall 5 held a 2011 autumn and winter new release show, Show a different look style. City Ladies "(referred to as CSLR) is Dali Group's famous women's brand , was established in 1995. City Ladies (Cslr) brand style from the European 50's" new style. "Recalling this period, in front of us Is an elegant woman on the banks of the Seine who is beautiful, generous, elegant and well-educated, confident and intelligent. 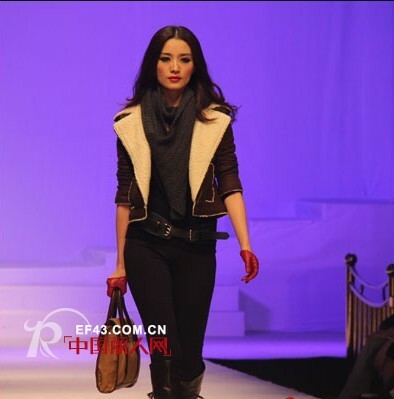 She is a fashionable lady in a metropolis. City Ladies bring a concept, a look, a feeling, a new way of life, highlighting the concept of metropolis and fashion. Cslr brand style full interpretation of the "metropolis, beauty," the characteristics of creating a romantic charming, elegant and elegant fashion concept. What Cslr wants to interpret is not to locate by age, but to separate by a state of mind. What she shapes is not a woman at a certain stage in her life, but rather a sense of expression. She not only contains delicate, soft, oriental qualities With a modern flavor of fashion, elegant, women will be refined, comfortable will taste the most vividly.